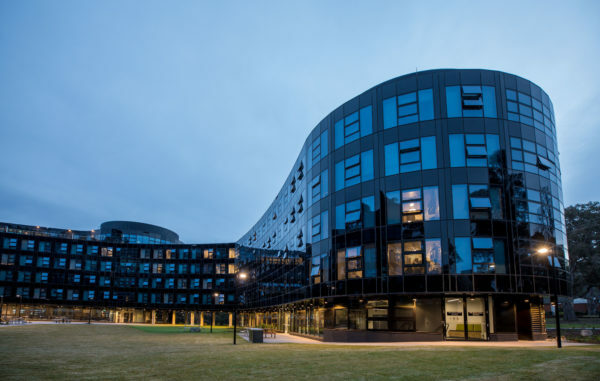 Australian National University, Australia is inviting excellent candidates to apply for a postdoctoral fellowship position in social sciences. The initial contract for this position is 5 years. Potential candidates should apply before October 14, 2018. The Australian National University (ANU) is a global university that consistently ranks among the world's finest. Its distinct intellectual capacity is reflected in 95% of its research output being ranked above world standard. This research excellence contributes to the social, economic and human capital of the nation. ANU is located in Canberra, Australia's capital and is a partner to the Australian government and a resource for its people. One of the reasons ANU stands apart from other universities is its ability to look beyond the day to day and address some of the biggest problems facing the world. The ANU Grand Challenge Scheme is a program that calls on researchers to identify a problem or challenge that is of world impact and national relevance. What’s unique about the program is the way it seeks to bring people together from all across the University, to bring new perspectives to a major challenge confronting society. The winner of the first round of this scheme, announced in November 2017, is the project titled 'Our Health in Our Hands: Future Personalised Medical Technologies for Sustainable and Effective Healthcare.' This project aims to revolutionise personalised medicine by providing new means for non-invasive collection and analysis of health data including the development of miniaturized sensors for detection of biomarkers in multiple sclerosis and diabetes. The ANU ‘Our Health in Our Hands’ Grand Challenge is a highly multidisciplinary research venture that brings together academics from numerous faculties including Engineering, Physics, Chemistry, Biology, Medicine, Humanities and Social Science to work together for an initial period of 5 years on transforming healthcare. This will be achieved through the existing synergies in the ANU Grand Challenge researchers and by recruiting talented and motivated early-career academics to join us from around the world. These new positions will be complemented by a cohort of PhD students and will work synergistically on the six key Grand Challenge Research Programs across the different ANU Research Schools and Colleges. The Grand Challenge Research Program on Novel Miniaturized Medical Sensor Technology is now advertising three postdoctoral positions located each in the Research Schools of Chemistry, Engineering, and Physics to work on the development of novel miniaturized biomedical sensors that can be integrated in wearable and point-of-care devices. These positions will work synergistically with the ANU Grand Challenge team benefitting from the breath of the research programs and expertise. This position with a duration of 3 years is part of the inaugural ANU Grand Challenge: Our Health in Our Hands: Future Personalised Medical Technologies for a Sustainable and Effective Healthcare. The ANU investigator team is at the forefront of the development of miniaturized non-invasive and minimally invasive technologies that are key to enable the development of wearable and portable devices for measurement of numerous biomarkers. In a large collaborative effort, the Postdoctoral Fellow/Research Fellow will be responsible for the fabrication and characterisation of miniaturized sensor devices, synthesis of nanostructured films to be used as detectors for chemoresistive and electrochemical sensors, and for the characterization of their chemical sensing performance.